Spence minces and loves a bit of tackle. Higginbotham doesn’t mince his tackles. Spotter’s badges: Joe Sampson and a bloke called Shane. Ha! My dad texted me this on saturday night while Match of the day was on – couldn’t believe he knew who Louie Spence was!! 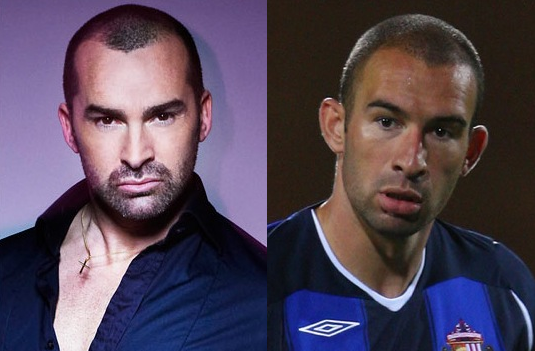 I can see a bit of Ashely Cole in Louis Spence too. Or maybe thats just me.